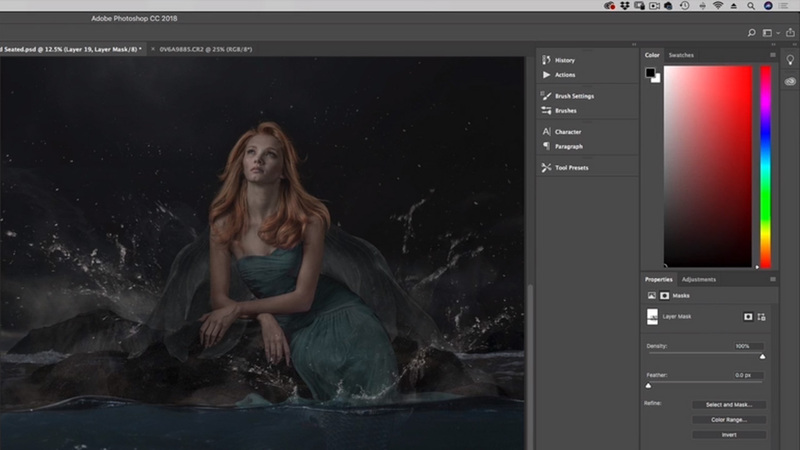 Watch Richard’s full edit of his Mermaid on Land image from start to finish. Watch Richard’s full edit of his Mermaid on Land image from start to finish. He creates an underwater scene, an above water scene, and uses lighting effects to combine everything together. Learn how to build an elaborate background, how to place your model into it, and add in your details to enhance your final portrait.